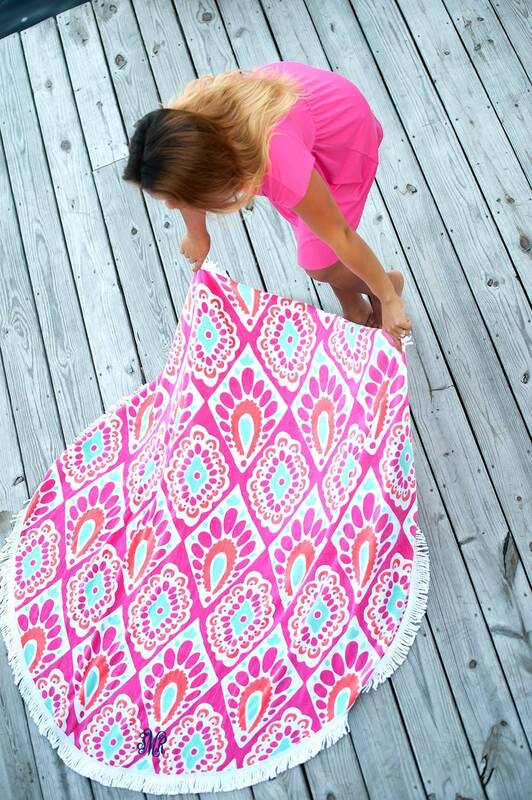 These personalized sand circles are the perfect accessory for the beach. 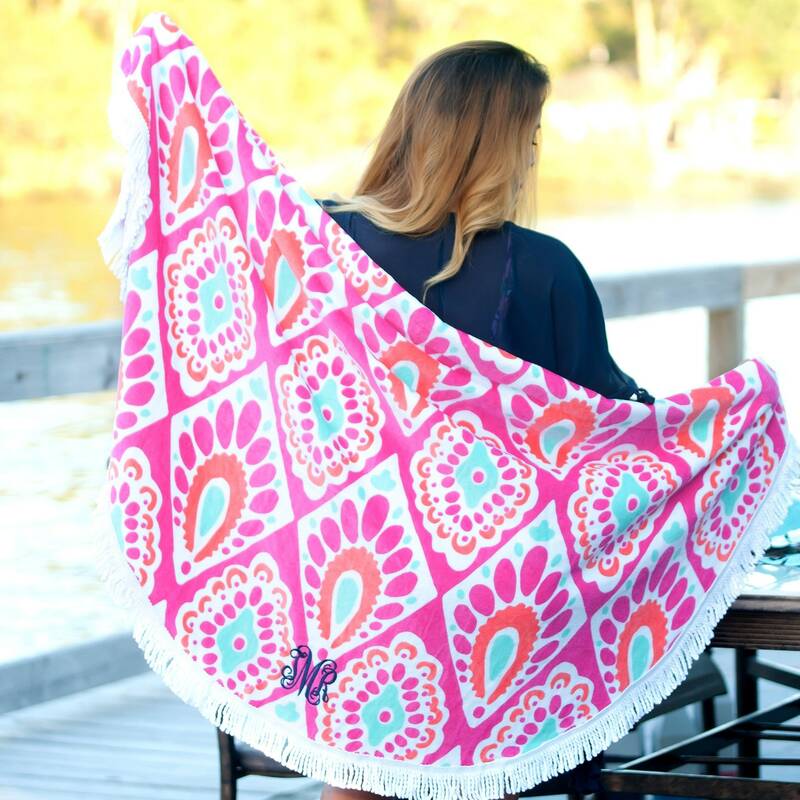 Add a monogram for an extra special touch. *Please note that female monograms should be submitted f,L,M and male monograms should be submitted FML. Embroidery is case sensitive. Please submit your information exactly as you want embroidered. 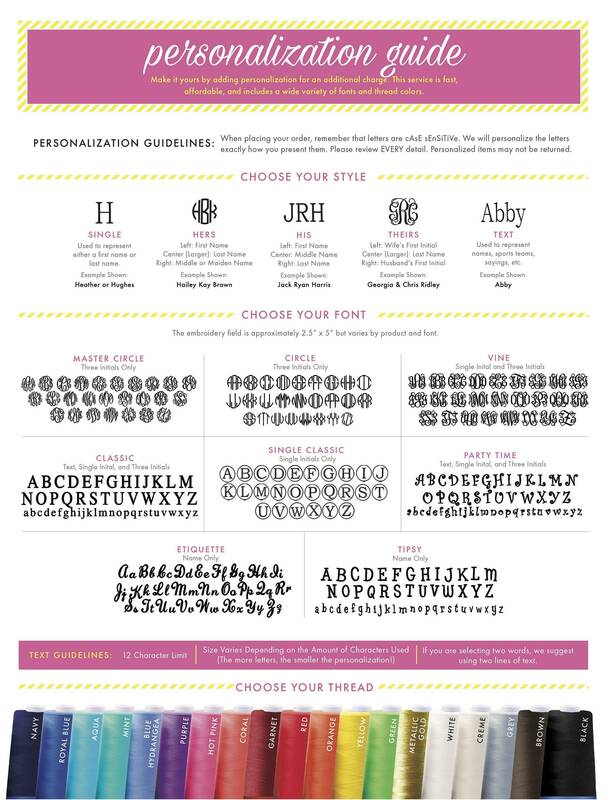 Please refer to our Personalization Guide for additional information, font choices, and colors.